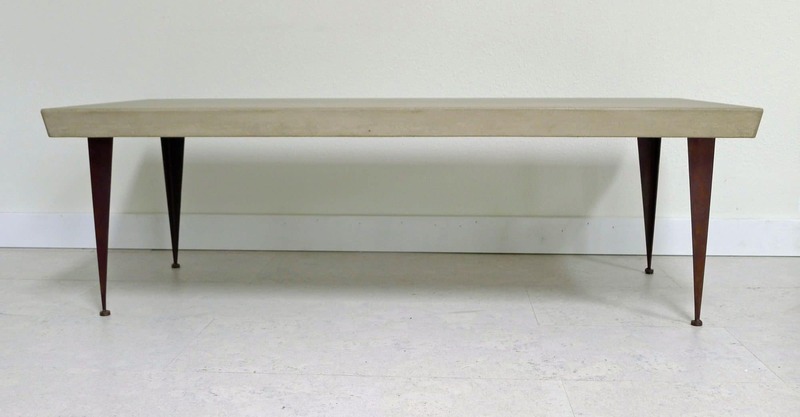 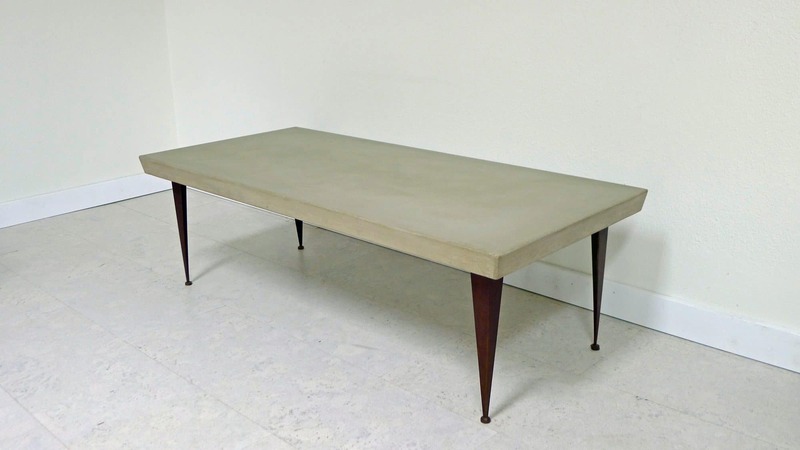 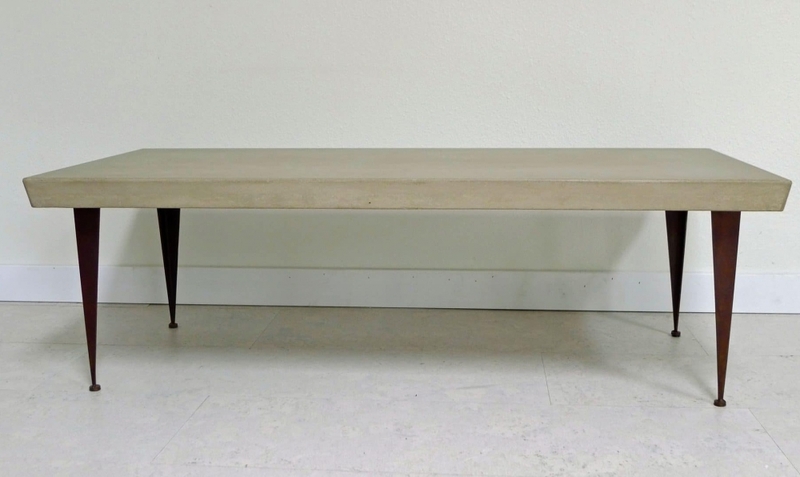 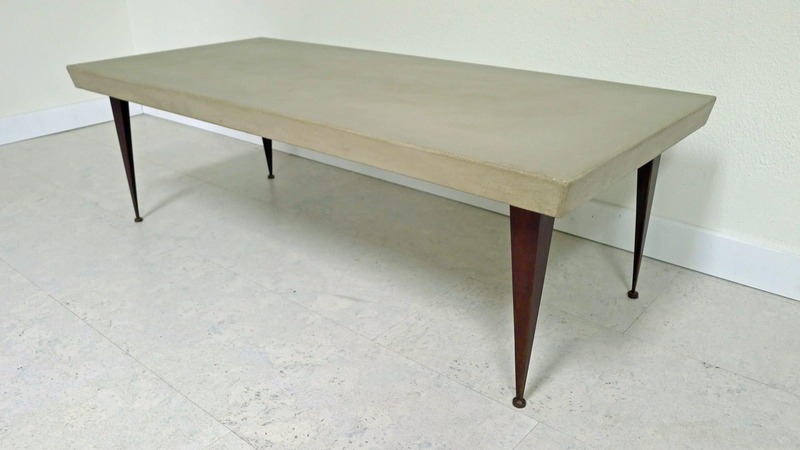 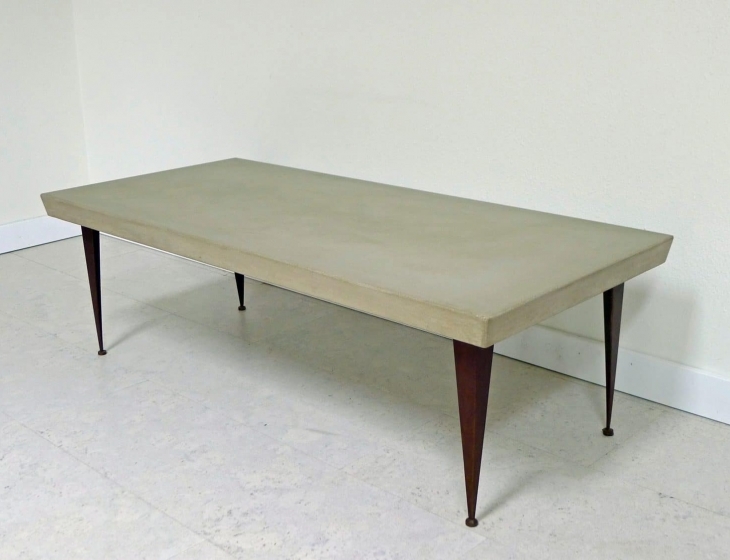 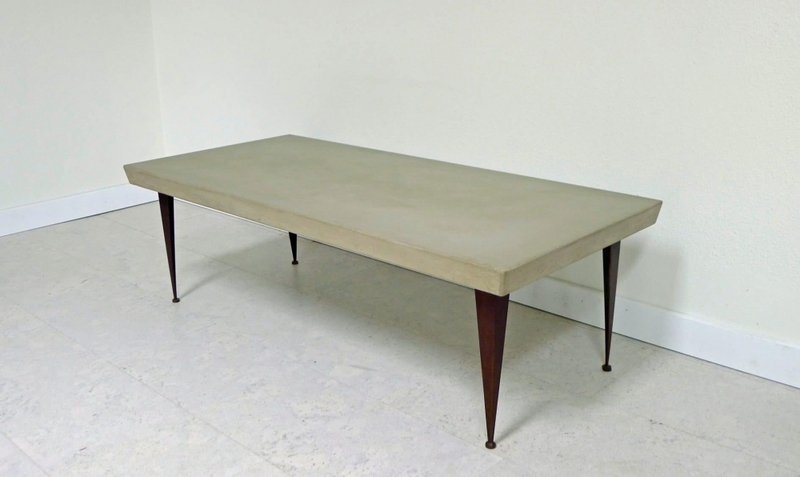 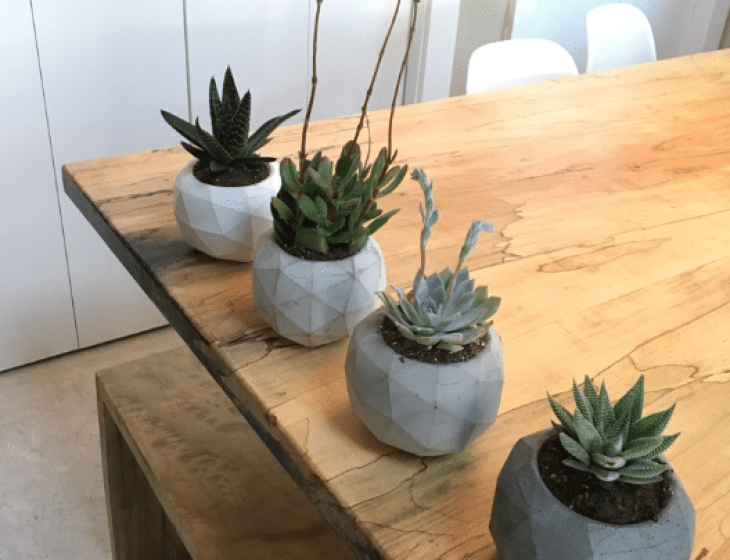 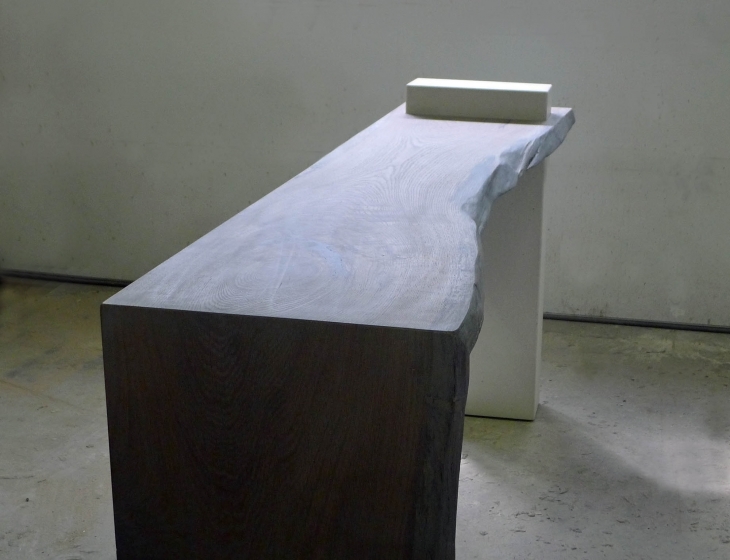 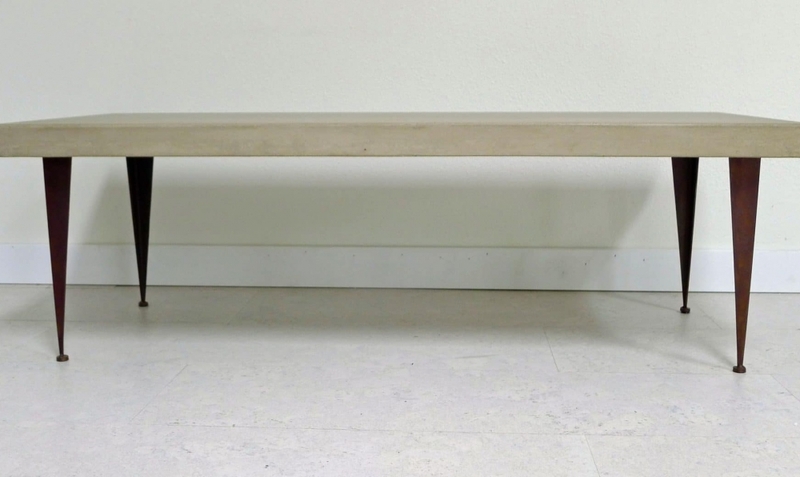 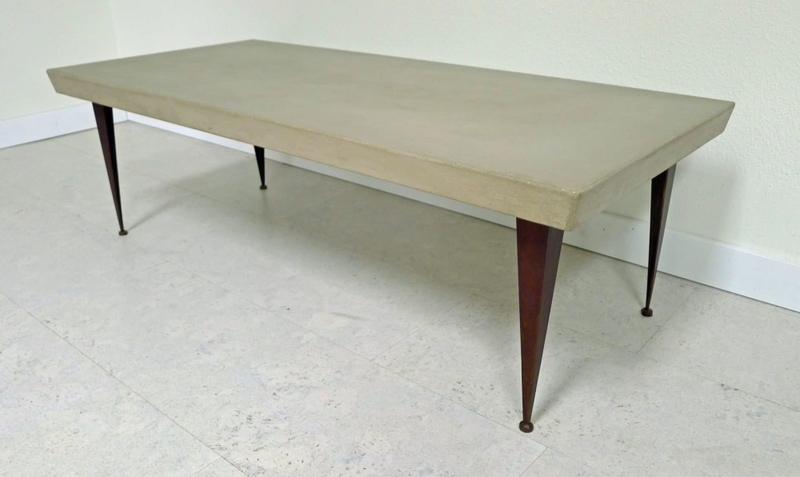 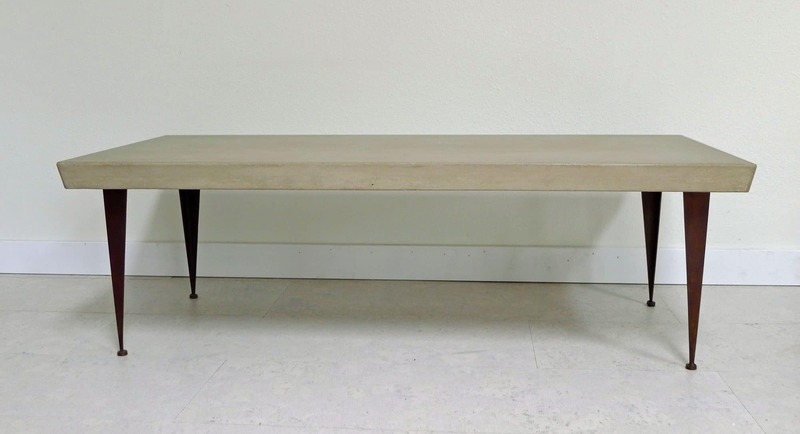 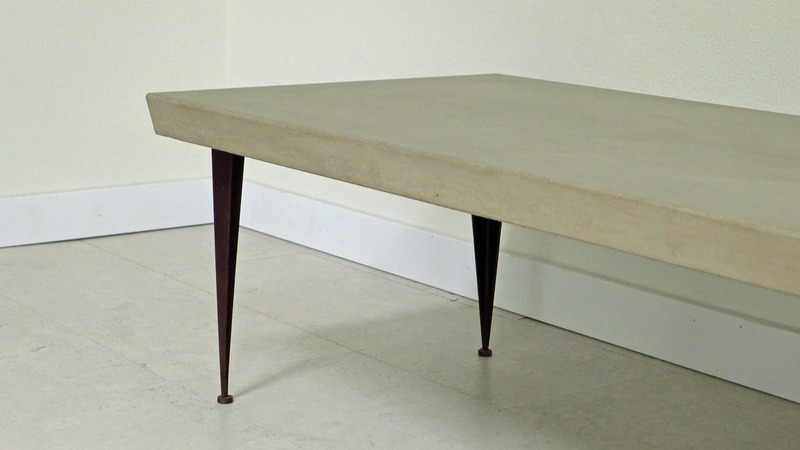 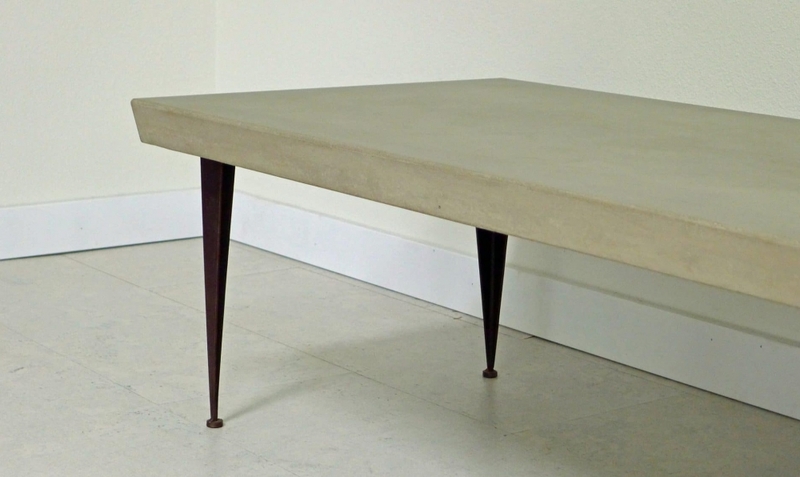 Concrete cocktail table in ‘universe’. 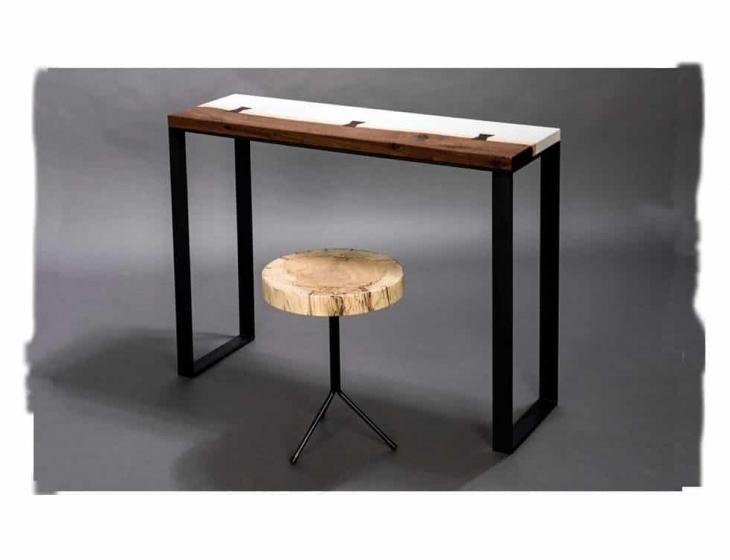 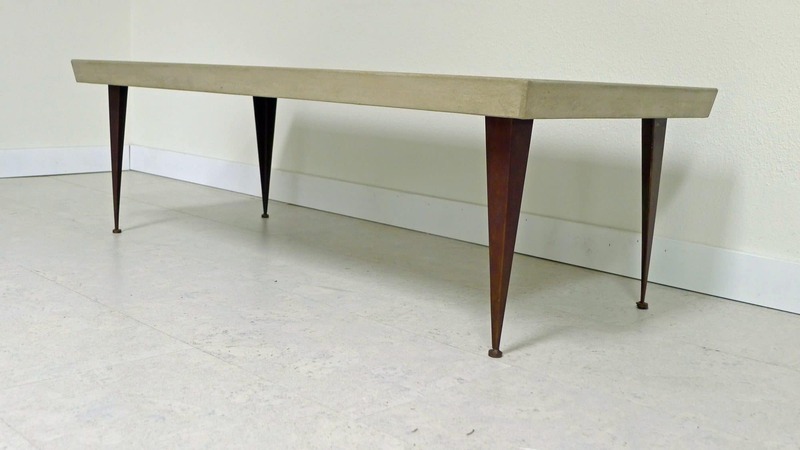 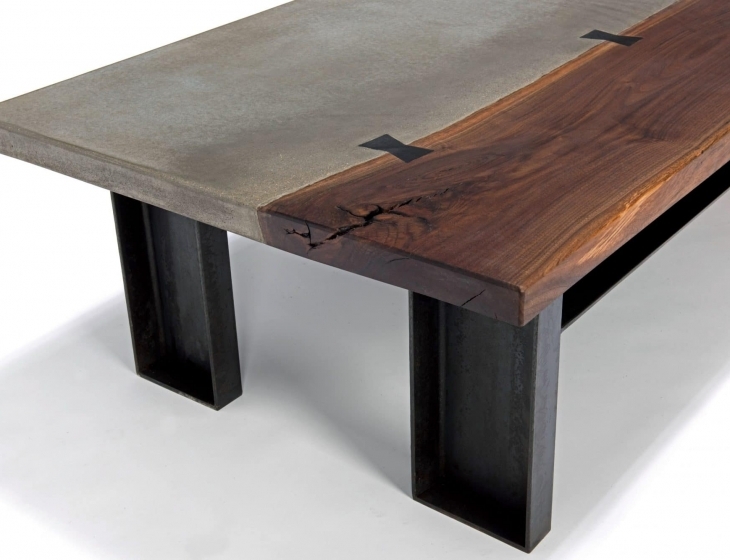 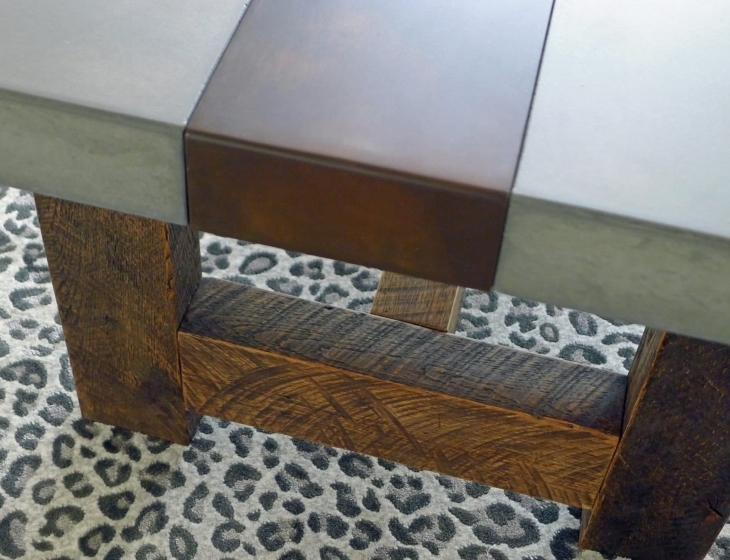 Tapered steel legs with ‘japanese brown’ metal patina. 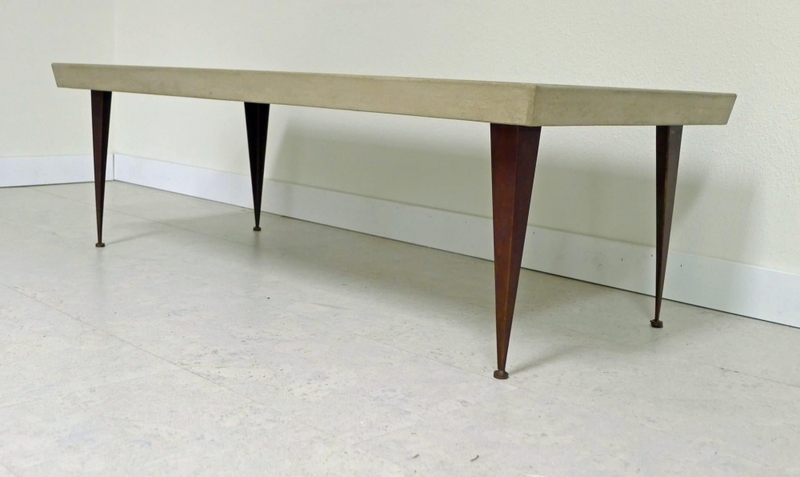 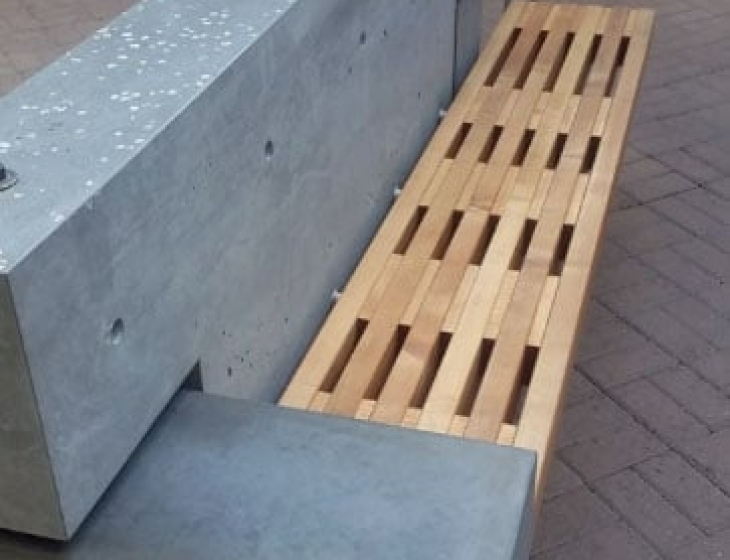 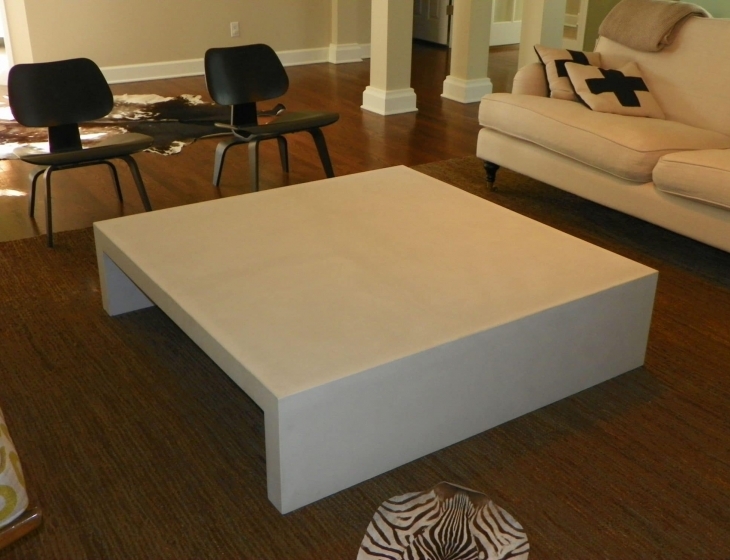 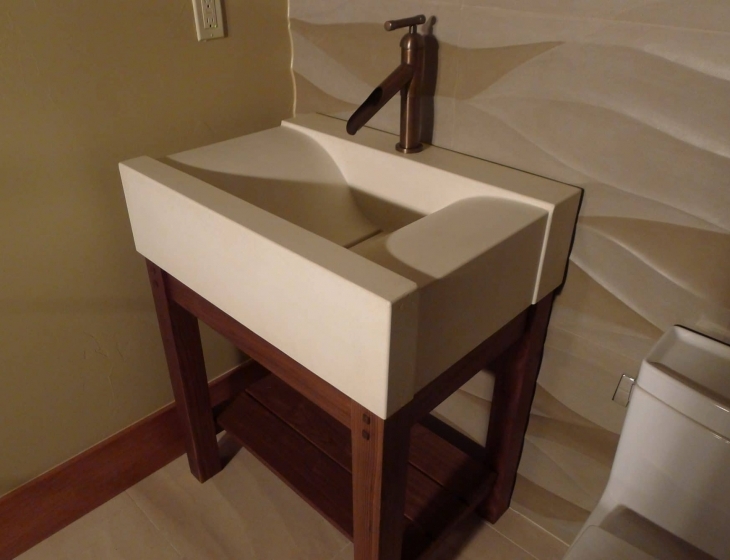 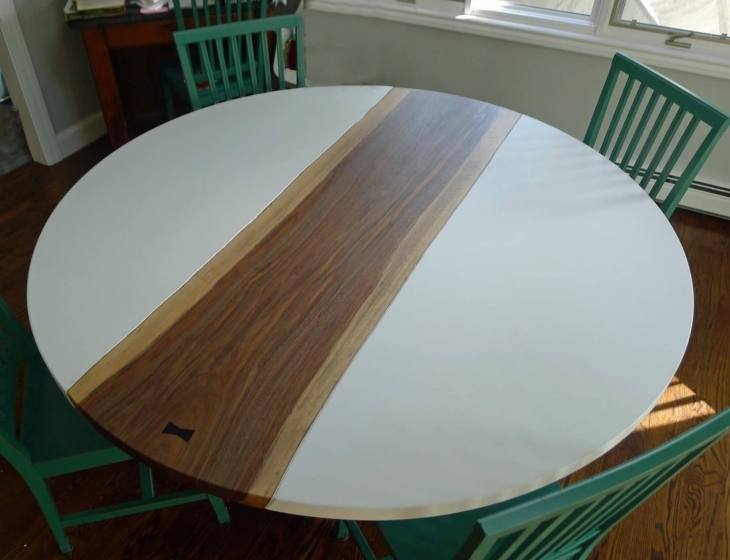 Sides of concrete top are beveled at 15 degrees to echo the taper of the legs.